Drinking milk does not increase nasal mucus during a cold. You never catch flu or cold from going outdoors in cold weather. Lots of people are catching flu and common cold, as the winters are approaching. Many cases of cough and sneezing can grow severe if not taken care of. If people are not made aware of the consequences of wrong treatments of common cold, they will end up making things difficult for themselves," says Dr Prabal Rajvanshi, senior medical specialist, Safdarjung Hospital. It is very important to unfold the myths that many people have about common cold to understand the actual facts and remedies. Myth: You can catch flu or cold from going outdoors in cold weather. Fact: "The flu and cold are more common in the winter months because that is when the viruses spread across the country. It has nothing to do with being outside in cold weather but precautionary measures are important. Always keep your mouth covered and keep yourself covered. Don't step outside without a pullover and gloves. 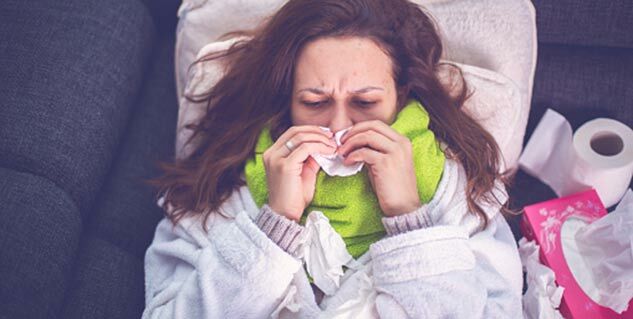 Since the virus is spread outside and cannot be controlled, you must take care and avoid unnecessary invitation of cold and flu," says Dr RK Manchanda, deputy director, Homeopathy. Myth: When you are sick, just stay in bed. Fact: Staying in bed depends upon the severity of the flu. Eat right and take preventive medicines if you catch a cold. Staying in bed all the time will make you ill even if you are not. Despite the common belief, there is no need to stay in bed wrapped in a warm blanket and skip your daily activities. "Exercising during cold also won't make your condition worse. Staying at home is reasonable to lower the risk of transmitting the cold virus to others. If you feel tired and have other symptoms like muscle ache, it is better to have rest rather than work anyway," says Dr Deepti Sinha, ENT specialist, Max Hospital, Pitampura. Myth: Drinking milk causes increased nasal mucus during a cold. Fact: "This is a popular myth. If you have caught a cold, you are free to consume milk in any quantity. Milk and mucus may look alike, but milk is digested like any other protein and is not specifically converted into nasal mucus. Instead it is suggested that warm liquids, especially milk must be taken in a desired quantity as it is a supplement for treatment of cold," suggests Dr Deepti. Myth: Becoming cold or chilled leads to catching a cold. Fact: "Chilliness is always caused in changing weather like this. But if the person has already been affected earlier, only then s/he can catch a cold. Otherwise if you are feeling cold, don't be afraid that you are infected with flu or common cold. It only happens when your temperature becomes disproportionate with the climatic exposure," says Dr Manchanda. Fact: There is no evidence that during common cold you should eat more than usual. "The best advice is to eat light, including fruits, vegetables and soups. Chicken soup may also be quite helpful during cold because it can relieve sore throat and stuffy nose," adds Dr Deepti. 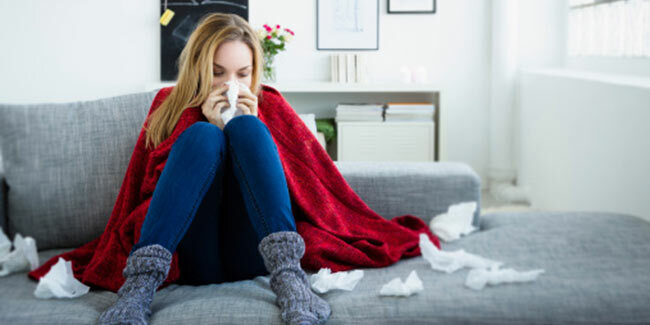 Myth: Cover your mouth with hand during common cold Fact: While it is highly recommended to cover your mouth and nose if you have a common cold, using your hand for it is the worse thing to do. "Coughing or sneezing into your hands spreads germs further from hands to other people and things you touch. The best way is to cover your mouth and cough into a handkerchief or your sleeve if you do not have one," says Dr Rajvanshi.So keep aside these myths since now you know what is good for you and what is not. Happy winters!